Virgin Voyages, the most anticipated new cruise line in years, has released a video giving us a new sneak peek at the features that will be on their first cruise ship Lady Scarlet. 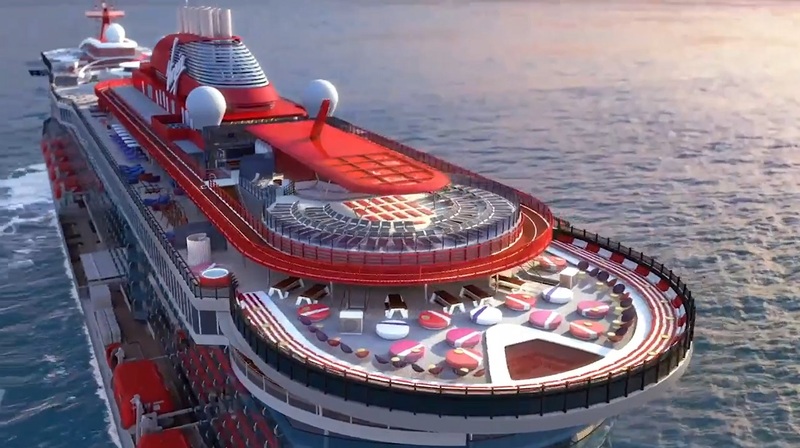 While interior images were released by Virgin Voyages a few months ago, this new video shows the outer decks and features that will be on them. So far, the cruise line has been tight lipped out specific features that will be on the first of three cruise ships that they have ordered. The video starts out by showing Lady Scarlet at sea and zooms in to show a sports deck that has punching bags and various outdoor exercise equipment. One of the features that caught our eye was the swinging benches. There are also hot tubs, an outdoor shower, and what seems like a good amount of outdoor seating. Lady Scarlet is scheduled to debut in 2020 and sail cruises to the Caribbean out of the Cruise Capital of the World, PortMiami. Exact itineraries and cruise lengths will be announced at a later time. Cruise Fever will have the latest when these details are announced.